UNIVERSITY CENTER — Saginaw Valley State University hopes to send students back to their K-12 schools to serve as leaders and “chief science officers” when the new school year begins in the fall. Modeled after a similar program that has proven successful in Arizona, middle and high school students are elected by their peers to be a “chief science officer” and then are empowered to influence a wide range of STEM (science, technology, engineering and math) opportunities in their schools and communities. The goal is to have students take an active role in increasing student interest in the STEM fields and ultimately create a diverse pipeline of STEM leaders. SVSU received a $40,000 grant from The Dow Chemical Co. Foundation to run the community-minded pilot program at middle schools and high schools in Bay, Midland and Saginaw counties for the 2017-18 school year. The funds will support up to two students and a teacher mentor from each participating school to attend a two-day summer institute that will bring middle school and high school students to SVSU August 22-23. Around 50 students are expected to participate for the upcoming year. Money from the grant also is set aside to provide mini-grants of up to $250 to support the “chief science officers” who develop plans for STEM projects to serve their school or community. Adrianne Cole, STEM Program Manager at SVSU, will oversee the program in the Great Lakes Bay Region. Additional schools who are interested in joining the program should contact Cole at (989) 964-4058, or acole@svsu.edu. The Chief Science Officer Initiative is supported by the U.S. Department of Technology; it was created and is overseen by Jeremy Babendure, Ph.D., executive director of the Arizona Technology Council Foundation. For more on the program, visit https://chiefscienceofficers.org/. 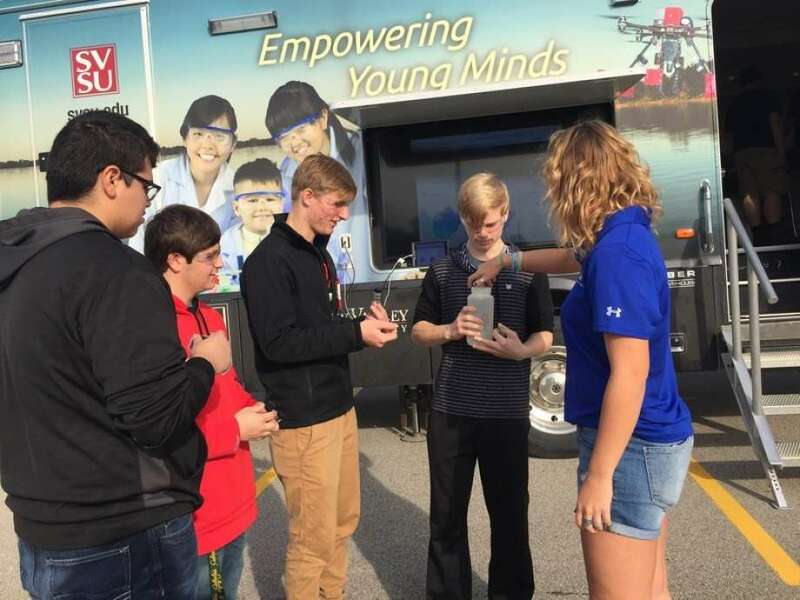 The Great Lakes Bay Region pilot program through SVSU is one of several being started across the country in connection with the National STEM Ecosystem Project.